1.4.1 Follow Us on Facebook! Cracking 320 in GRE is not cakewalk thing but with proper planning and organizing your self you can reach your desired target score in 1 or 2 months. Check out this Ultimate guide to score 320+ in GRE. Well, if you are targeting for 320+ in GRE you will have to work smart. One can not get 320+ score just by mugging the 3500 words or just by practicing whole aptitude maths. Here is the link of GRE study materials which can be used to increase your score. In addition, first of all, you will have to make a timetable for one or two months. I have prepared timetable for Gre practice Test which you can see here. For more Gre preparation material check Best Gre preparation Books. In 20 days learn 1 deck/ 50 words from Magoosh flashcards. In 20 days you will be done with 1000 Magoosh words. But the problem is you will forget words after some days so it will be better that after several days you should start revising old decks of magoosh flashcards. Once you are familiar with the words use that words in your daily life. Yes, It will impact on your score. You will remember words more efficiently then mugging. For example, today you learn a word ” conundrum “ which means ” a difficult problem “ so whenever you are facing a difficult problem in mathematics or in any situation, you should use ” conundrum ” instead of problem. It will have great effect on your writing as well as remembering the word. Some words are difficult to remember and they are difficult to put it in any situation so here is a tip. Make a picture of it or Google that word and see the images. Next time whenever you will see that word you will see that picture in your mind. So, from that picture you will remember meaning of the word. Last but not list, do not forget to remember how the word is used in sentence. Yes, you can read sentence under the flash cards but try to make new sentence with your own thought and own sentence. Otherwise in Sentence Equivalence and Text completion it will cause problem. Reading comprehension seems easy, but after you will start reading the passage you will have strong wish to bang your head on the computer screen !!! Yes, that is true. But after practicing much you will be fine with the RC’s. First of all start Reading some article of news paper first. Like Economics Time, or The times of India, start reading that topic’s article with which you are not familiar. Suppose you do not like politics so you should read at least one article of politics from news paper daily. And after that try to some up the information which are given in the article. The reason you should read article which are not familiar with you because in GRE you will have article about history, science, art etc. So this habit will surely help. With this habit, start reading Manhattan’s Reading Comprehension book. check out reviews of this gre prep book here. ( highly recommended ) This book have best strategy to crack RC. This book will surely help you to crack RC. To fight with SE and TC you will need strong Vocabulary. So, after dealing with 500 (or more) Magoosh words start solving SE and TC problem from Princeton 1014. For more practice of SE and TC start reading Manhattan SE and TC guide. Start reading Manhattan 500 essential words. The Guru mantra to get 160+ score in maths is Practice, Practice and Practice. Spend at least 2 hours a day for problem solving in 2 months before your exam. You can solve problems from Princeton 1014, Nova Maths and Ets official guide to Gre (2nd Edition) . To the people who are week at start practicing maths from indiabix.com they have very nice formula and practice question. Start with official guide to Gre. The explanation is not quite good but problems are pretty good. Start remembering all the formula and start practicing maths from manhattan quantitative series, With that start solving Data Interpretation from Princeton 1014 they have very nice question set for D.I. Some student does not prepare for Analytical Writing until last week of exam. But let me remind you if you are targeting top 50 universities in USA then you will need greater then 4.0 in Analytical Writing , and without practice in Analytical Writing you can not get good score in Analytical Writing . And even if you are not targeting top 20 universities most university require 3.0 or more in awa. So do not think that this section can be done without practice. For a mock test I recommend you to buy any book from Manhattan series so that you can get 5 test of Manhattan which is very nice and effective. 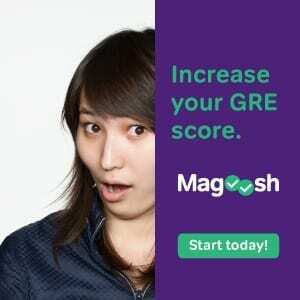 If you want to take GRE prep course online then go for Magoosh.com it is one of the best institutes for Gre prep you can check out reviews of magoosh gre here. So , best of luck I hope this will help you to score 320 + in GRE 🙂 In case of any doubt do comment. I am more concern about quant. I have done manhattan and in mock tests usually scores around 158-161 in quant. But due to some unknown reasons in exam my quant score was 154. What am I missing where I am going wrong. hello admin thanks for your great post. its very useful to me………..
My gre is on 11th april & I m done with princeton 1014 planning to do manhattan & software from 1st so which one I should practice for a week?! Barron’s or Kaplan?? Hi! I would like to know when’s the best time to give the GRE. I am thinking of making a reservation of the date in mid March for my application for Fall ’16. And I am in T.E right now. Also, could anyone shed some light on the LOR portals? Cause that is somewhat confusing. Also if anyone could recommend me universities for 320+ GRE score in CS, considering all the other parameters. Also, what would be the general deadline for the application process. And, will the universities accept college transcripts for six semesters? I know I am asking a lot but I want to make sure that I do everything in my power to get the best college that will suit my caliber. Hello…Thanks for the great post, I’m thinking to do http://www.magoosh.com and manhattan 5LB, with barons 333 can i score 300+ if i read just the above mentioned books?